Several years ago Dave Fricke put my onto a bullet theorem developed by a guy named Lutz Moeller. Basically with the little reading I have done he created a bullet to achieve great accuracy (and that is only one part of what he was trying to do) by putting 'Drive Bands' around the bullet. 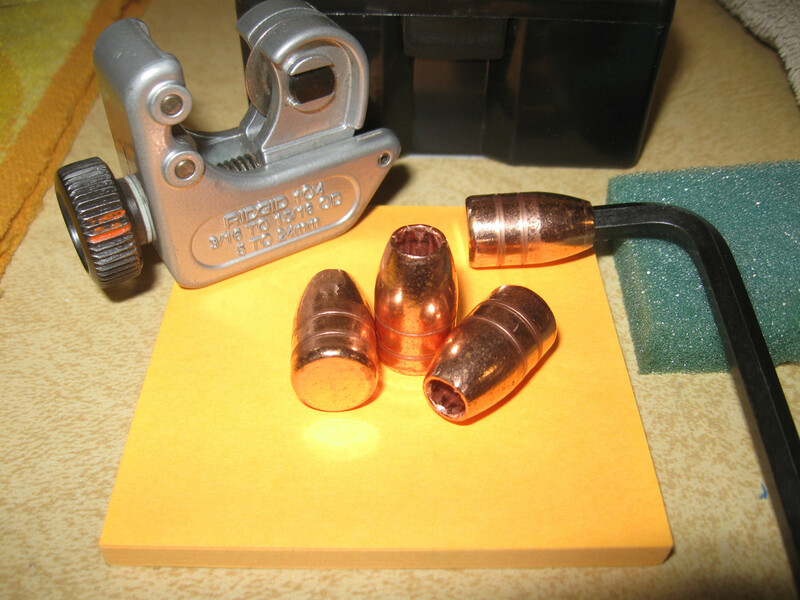 The bands prevented the entire bullet from making contact with the bore. I think he basically was saying with only the bands riding the bore, not the drag of the whole bullet, he could achieve greater accuracy. Yes, he did have some other goals for his bullets but the 'long range' and 'accurate' thoughts are what caught my attention. These are a couple pics of his concepts..
With his bullet the drive bands did grab the lands for rotation and the bands do fill the grooves for the gas seal. From this theorem - I deviated... 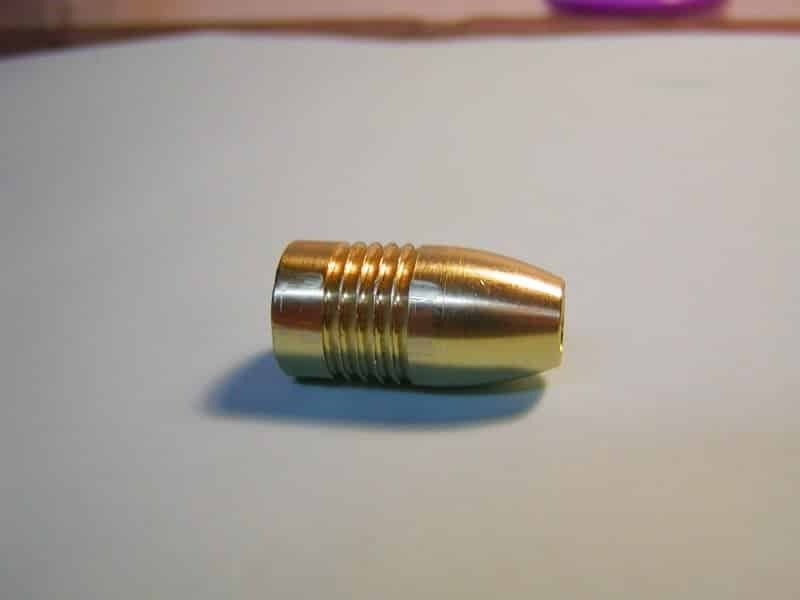 If I could develop a muzzleloading bullet that would grab the lands - the bullet would get the rotation necessary for stabilization, then all I needed was a gas seal. During my time working on this I was using bullets that would drop/slide easily down the bore of the given rifle. From that point I would knurl the bullet to create enough lift on the bullet to create a grip on the bore, actually the lands. And I was REALLY surprised how little grip was actually necessary to get stabilization. 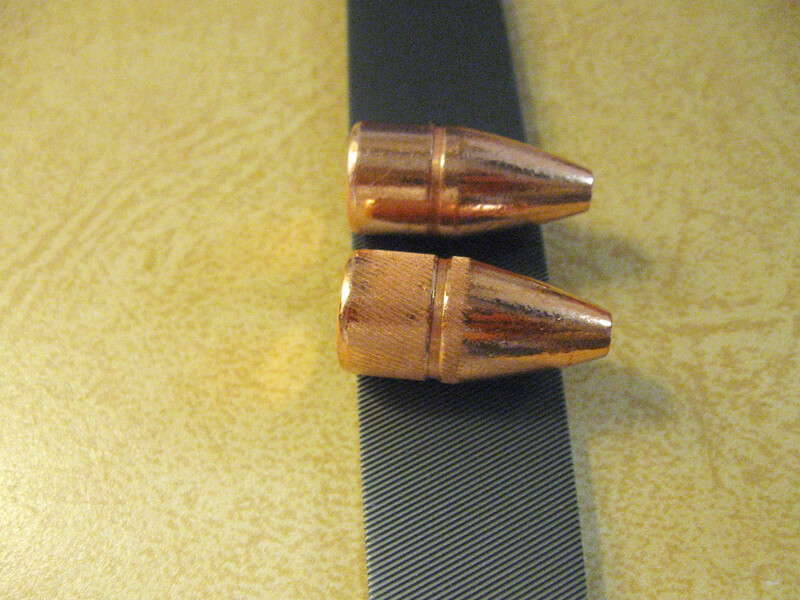 I knurled bullets using files and then later went to what I call cut knurl lines. For me the cut knurls worked much better than the knurling with the files. The more difficult part was getting the right amount of lift for each barrel. Next - Gas Seal! My experiments started out with just 50 cal. bullets. My first seal were just plain shot cards. 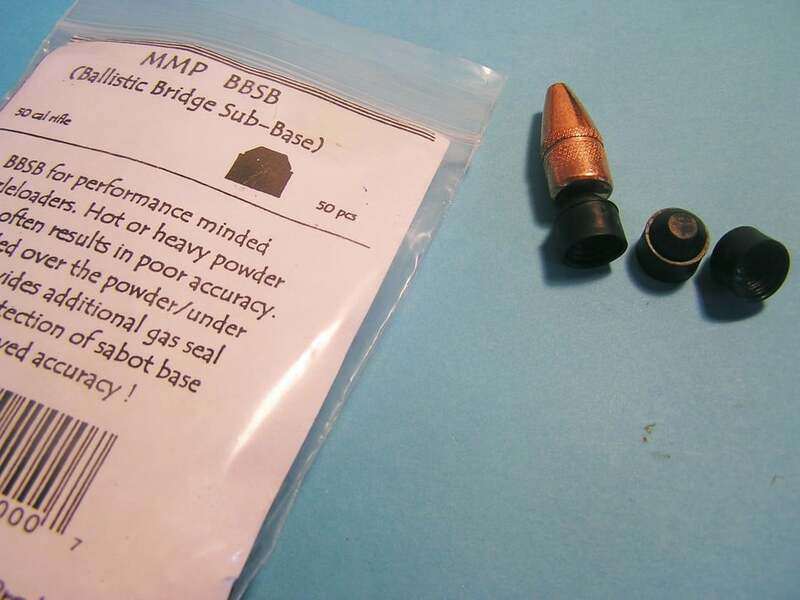 They worked very well then one day a thought came out of no-where - Why not a MMP 50 cal. sub bridge... There were outstanding! The sub base was not created for this but they worked great! 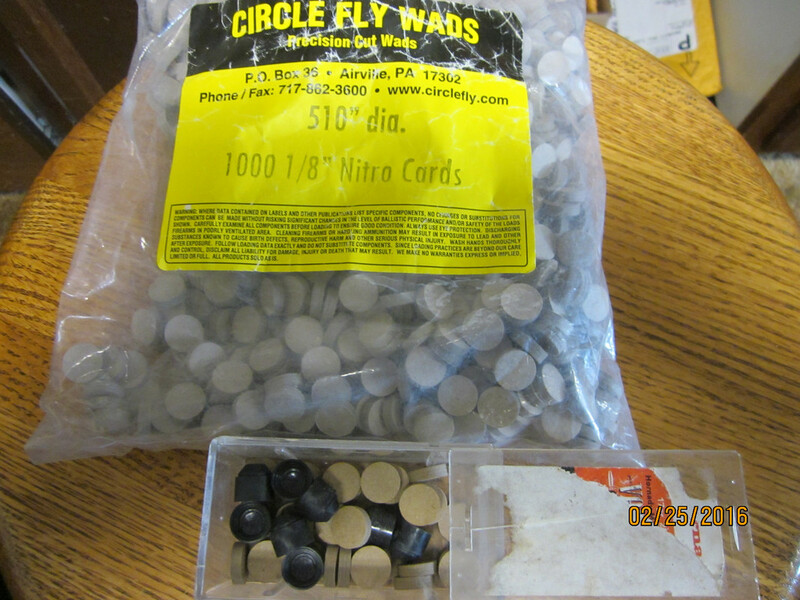 With these gas seals I was able to shoot regular flat based bullets with very good accuracy, even though they loaded very easily. I am sure that I was not filling the grooves, but the bullets were gripping the lands of the bore. The 45 cal. 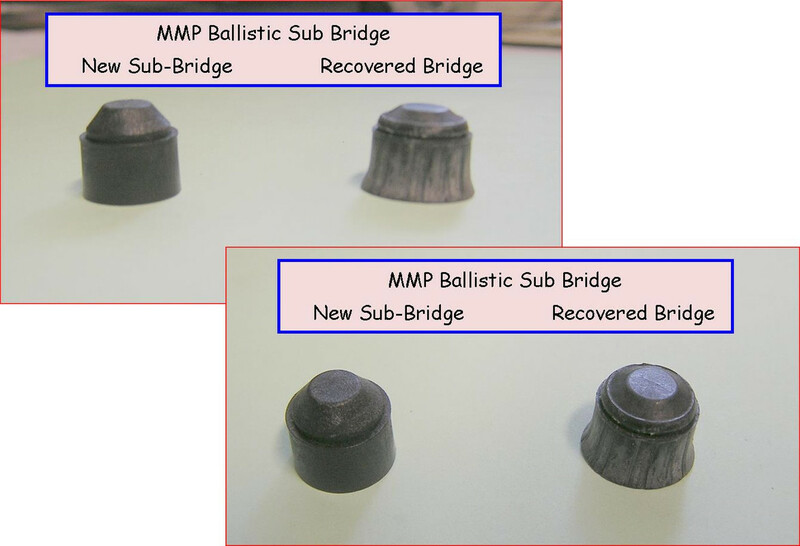 on the other hand offered a more narrow target opportunity of bore sizes. This is a picture of an early attempt a 50 cal. Sabotless hunting bullet. 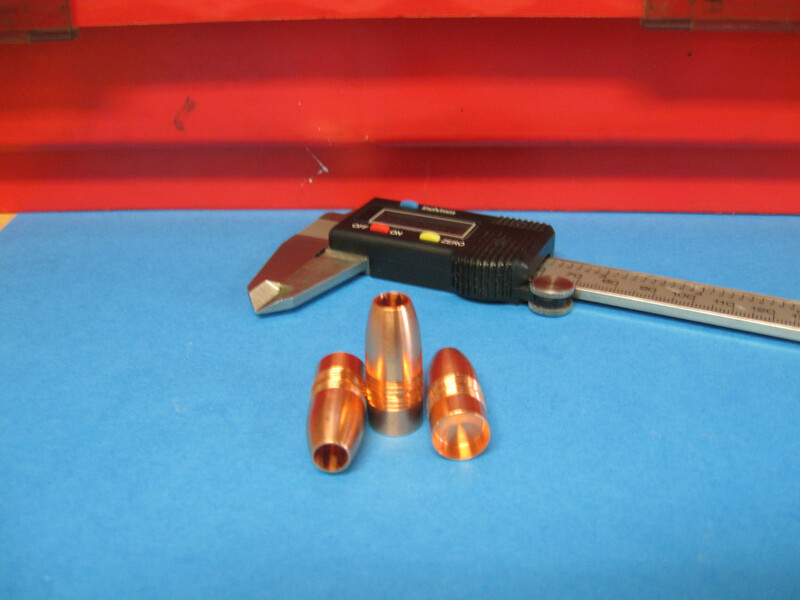 The drive bands designed to grab the lands and the base of the bullet was designed to obturate the size of the bore and seal the gas behind the bullet. Work on sabtless is still ongoing! The guys at Hammer Bullets worked on something like this for Pittman Bullets. I'm looking to get into muzzle loader hunting for elk and stuff like this makes the whole thing much more interesting to me.